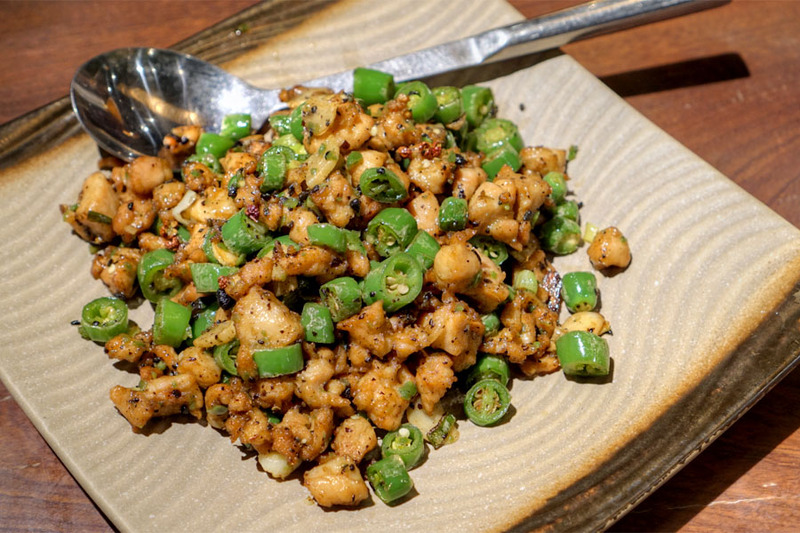 The road to this meal began back in June with the unexpected closure of Erzbierschof, a mini-chain of beer bars in Switzerland with locations in Bern, Liebefeld, Winterthur, and Zürich. A friend in Bern happened to be a regular patron of the business, and after the shutter, was invited to a cellar sale where he could purchase some of the remaining inventory. 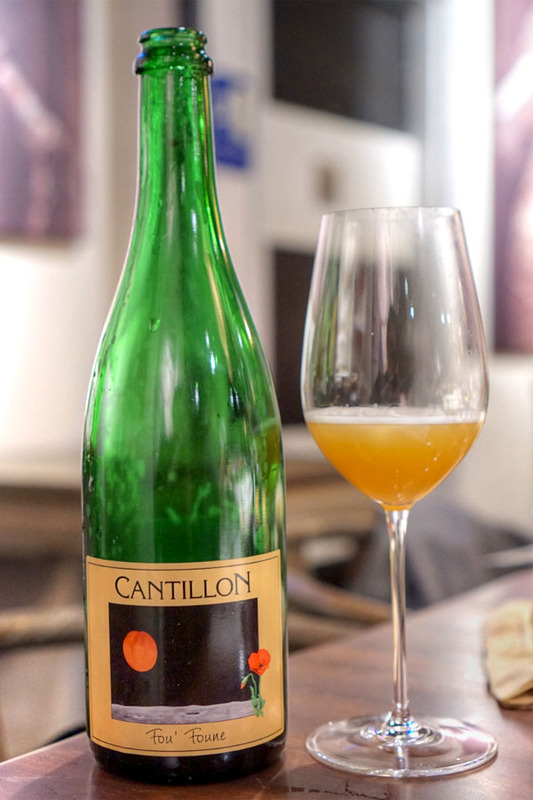 He ended up buying a case of lambic, and brought the bottles Stateside on a recent visit to Los Angeles. 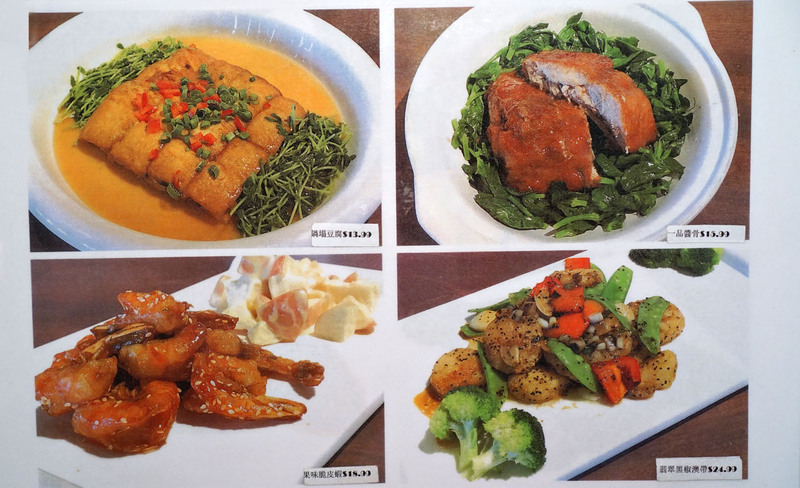 The plan was to drink them all in one sitting, and we'd initially planned a dinner at "imperial court cuisine" purveyor Bistro Na's for that purpose. A group of eight of us thus showed up at the restaurant, only to find that the table reserved wasn't large enough to comfortably accommodate our party. 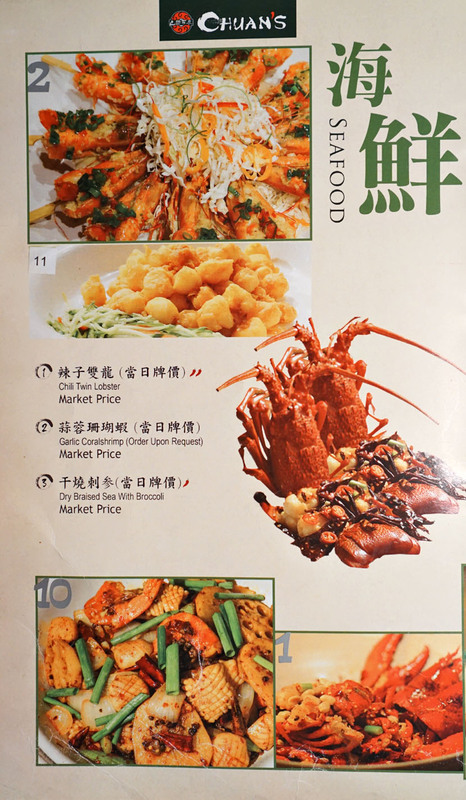 Flummoxed, we tried to quickly think of other places to go, and eventually settled on Chuan's, which happened to be located conveniently across the street. 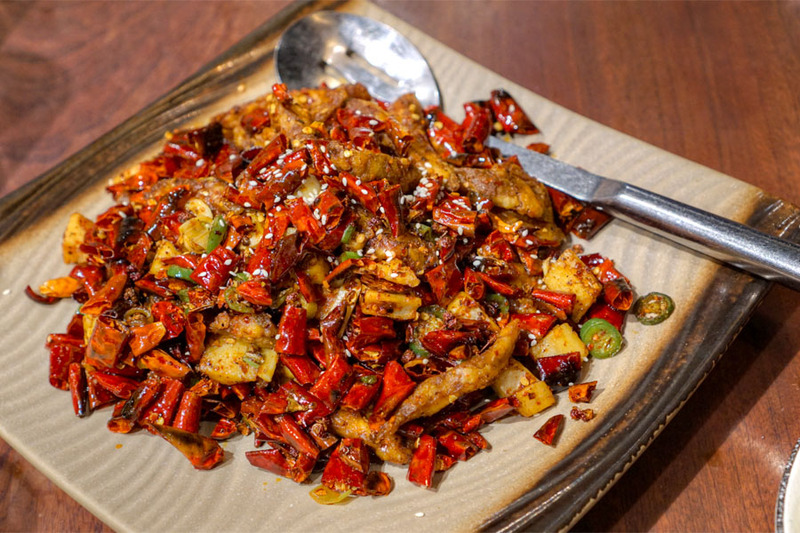 Chuan's is part of Ba Guo BuYi (BGBY) group, a popular restaurant chain founded in Chengdu in 1996 by Nong He that claims over 30 upscale Sichuanese eateries throughout China. Via his conglomerate Chengdu Jove Industrial, He has also branched out into hotels, real estate, education, and home furnishings. 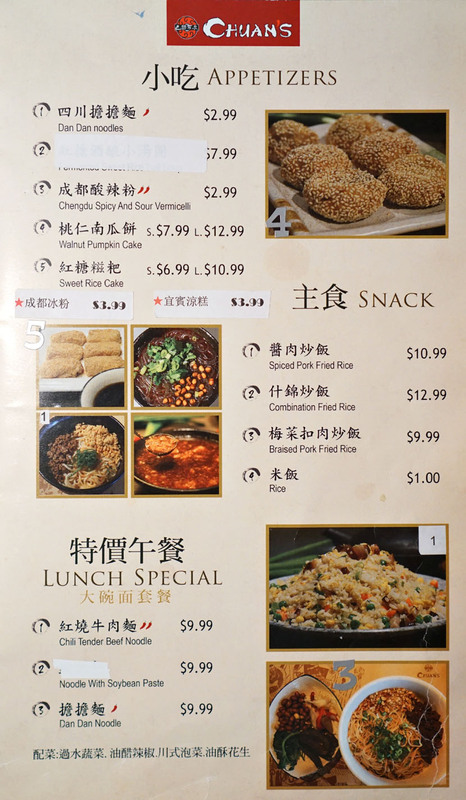 There's even a US subsidiary called Jove USA, which helps oversee Chuan's. 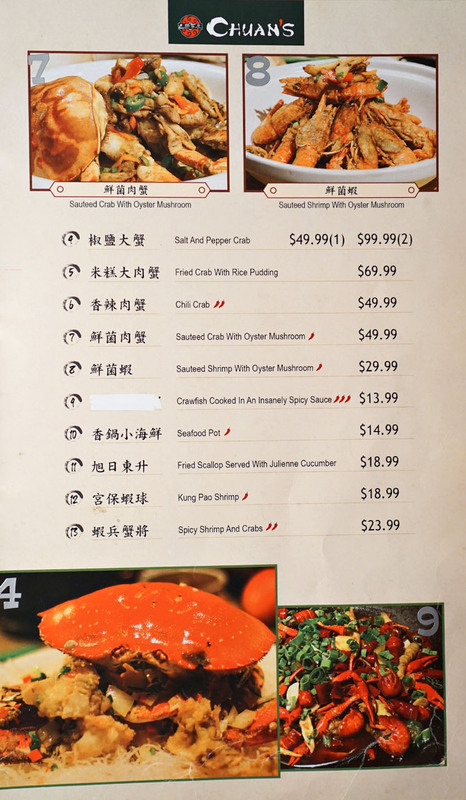 The first Chuan's opened in October 2013 in Houston, while this SGV location bowed at the end of September 2014 under the watch of partner Qu "Carol" Chen. 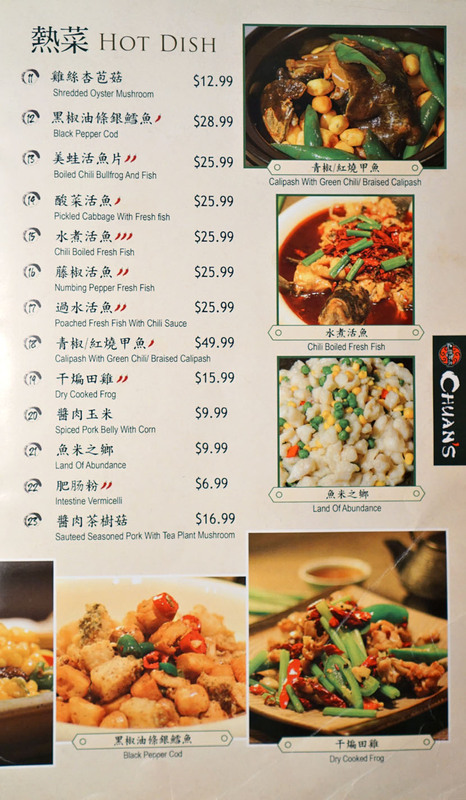 Chuan's is situated in the back corner of Temple City Marketplace, in a spot previously occupied by the quasi-Japanese Kaya (1992-2011). 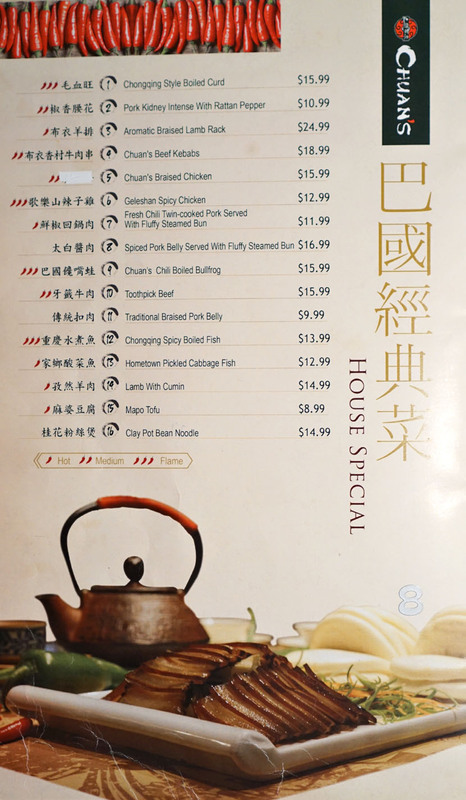 The dining space spans roughly 3,000 square-feet, and is largely decorated with furniture imported from Sichuan province. There's room for about 130 diners, and there are also two VIP rooms in the back. 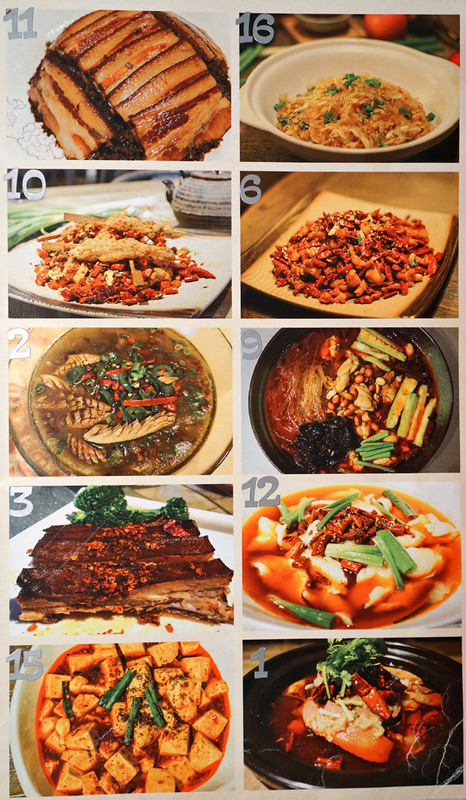 The menu offers an appealing array of Sichuanese dishes, some traditional and some more modern. 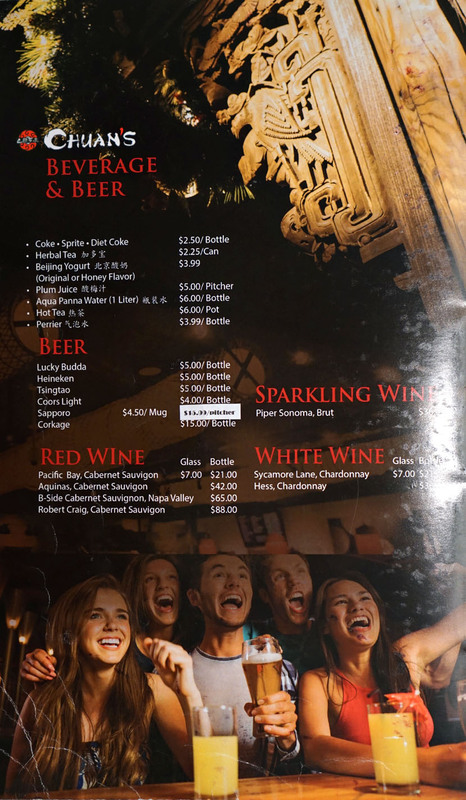 To drink, Chuan's provides a limited selection of beers and wine, while corkage is $15 a bottle. However, we were told that corkage could be waived if we'd purchase a bottle of wine, even their cheapest one at $21, so we did just that (and ended up giving the bottle back to the staff to drink). Click for larger versions. There's a bit of history behind this beer. In May 2009, a faulty controller in one of the brewery's warehouses resulted in extremely high temperatures that destroyed over 80,000 bottles of lambic. The business suffered a huge financial loss, and in order to help raised funds to continue operations, operator Armand Debelder created a quartet of special blends comprising 1/2/3-year old lambic, including some of the final in-house lambic brewed before the "thermostat incident." 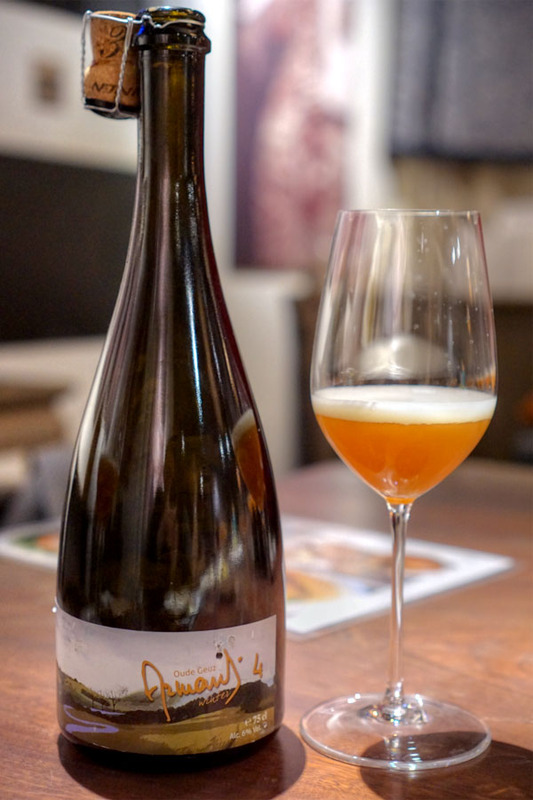 Each bottle was inspired by a particular season, and we started with the first in the series: the 2010 Drie Fonteinen Armand'4 Oude Geuze Lente. On the nose I got boatloads of juicy stone fruit, along with a plethora of citrusy, yeasty notes--very appealing. The taste was sour, dry, acidic at the start, but vibrant, delectable notes of peach appeared on the mid-palate and lingered, joined by a refined funk and light spice. It really did taste of spring with its lively, refreshing character, and had plenty of life left in it still. My favorite of the foursome, and arguably my favorite beer of the night overall. 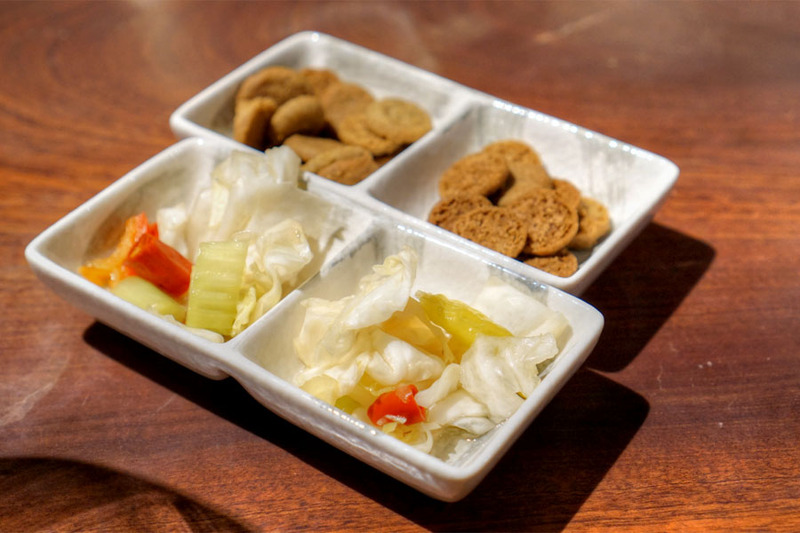 Complimentary snacks comprised crunchy pickles and some sweet-n-spicy cookies. Summer was represented by the 2010 Drie Fonteinen Armand'4 Oude Geuze Zomer. The nose on this one was definitely more muffled and muddled, with stone fruit, oak, and woodsy spice commingled with a slight cardboard-y sensation. The beer had a creamier sort of mouthfeel as well, but was still tart and acidic, with some nice apricot-like notes, barnyard, and wood present. 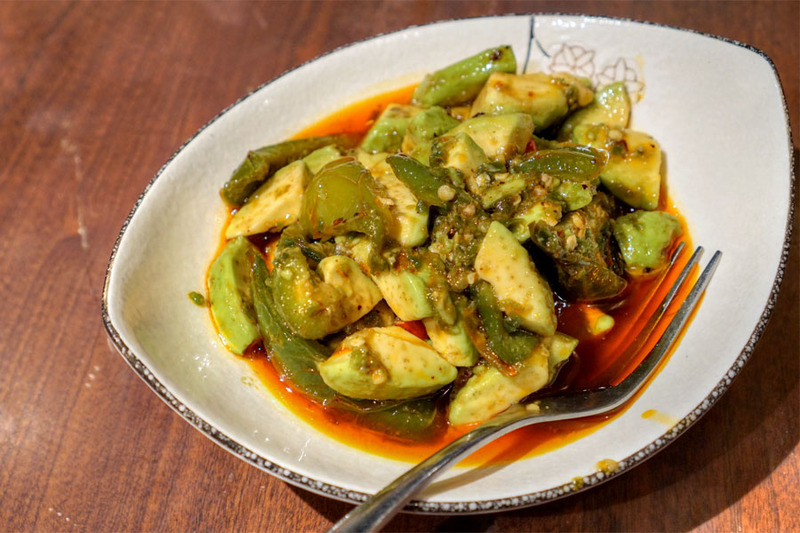 Our first proper course married the heat of chilies with a nutty spice, both elements moderated just enough by the cool creaminess of avocado. Autumn arrived in the form of the 2010 Drie Fonteinen Armand'4 Oude Geuze Herfst. The aromas here were super funky at first, with Band-Aid, blue cheese, and earthy spice notes at the forefront, though more stone fruit did come out as the beer warmed. The taste blended horse blanket and mustiness with a tight acidity, dryness, and some grainy nuances, while the fruit was certainly on the austere side. 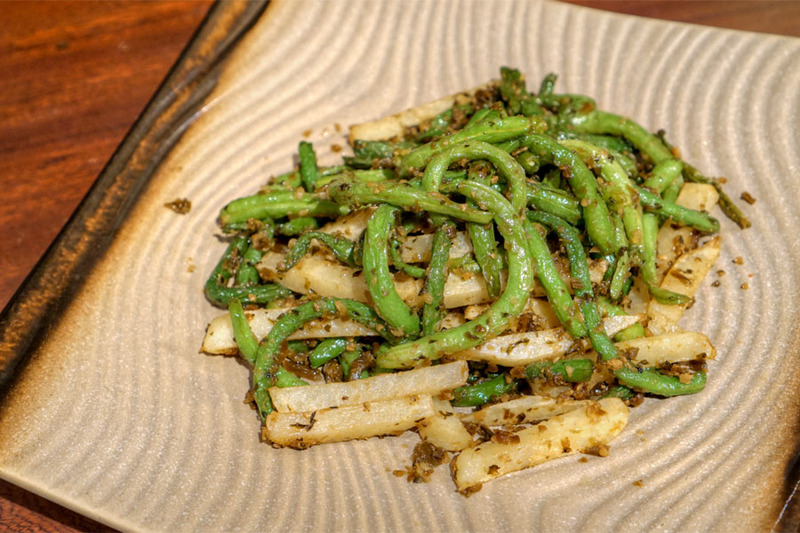 Greens beans and potato were seasoned beautifully, with lots of peppery spice, yet the inherent nature of the vegetables was still apparent. Some great textures here too, especially from the French fry-like cuts of tater. 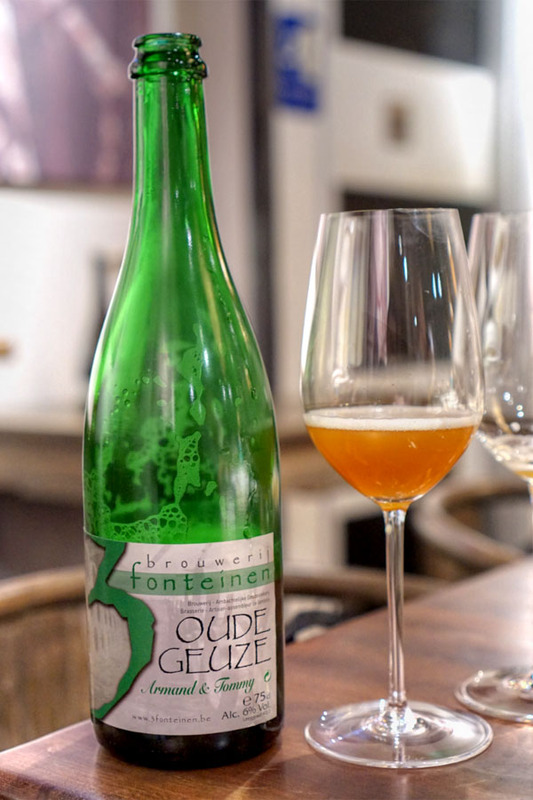 We concluded the seasons set with the 2010 Drie Fonteinen Armand'4 Oude Geuze Winter. Very spicy, grainy nose on this one, with funk, lemon, and some peach hiding in there. On the palate, I found the beer creamier, softer, but with citrus, oak, subdued fruitiness, and a persistent tingle of bitterness on the finish. Easy-drinking, and my second favorite of the set. Interestingly, at the end we actually made a cuvée of all the seasons. In terms of aroma, what stood out was really rich stone fruit and plenty of barnyard, while the palate was smooth and thick, with an almost candy apple-like sweetness mixed with more stone fruit and wood. Liangfen arrived as slick and slippery as you'd expect, its relatively bland flavors kicked up several notches by plenty of heat and some nutty notes. The 2011 Drie Fonteinen Oude Geuze Armand & Tommy was also in the running for my favorite beer of the night. 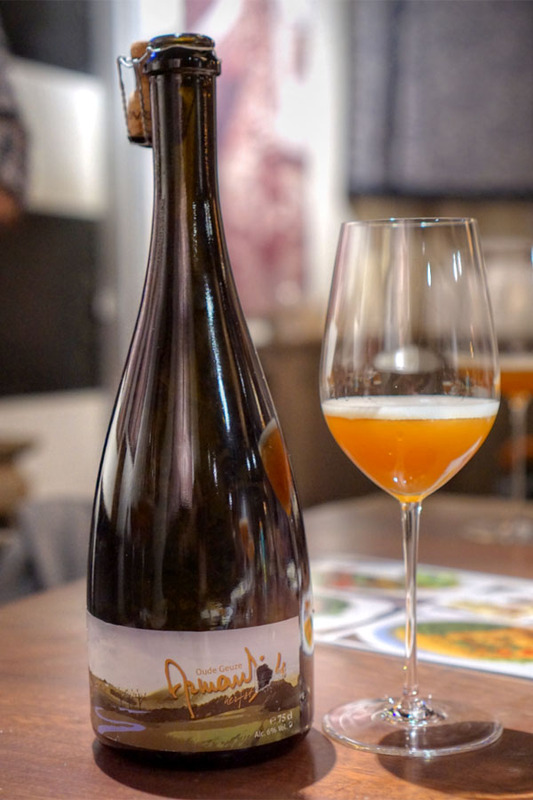 Comprised of four-year-old Boon lambic as well as Debelder's own lambic dating from 2008, the beer was ostensibly crafted in collaboration with The Lost Abbey's Tomme Arthur. I got a wonderful nose filled with soft stone fruit, yeast, light spice, and light lemon. The taste was similarly mellow, balanced, yet unquestionably delicious, with more fruit, funk, oak, subtle peppery spice, and a tart, countering acidity. 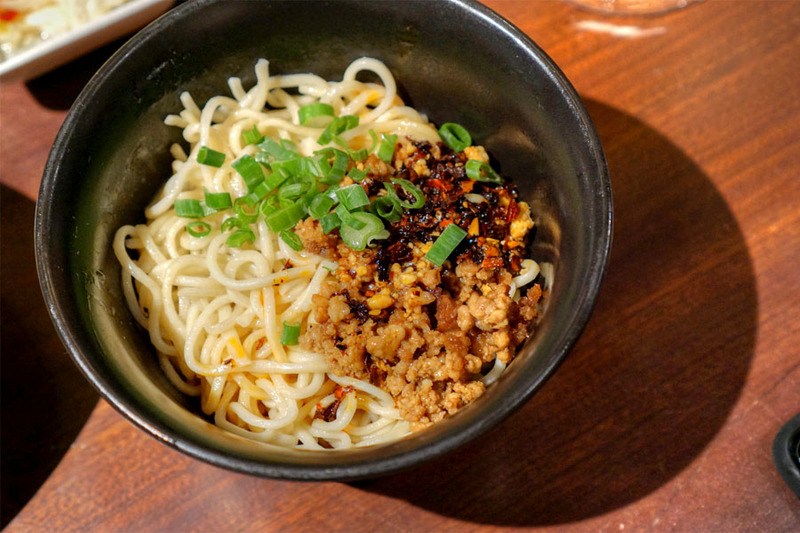 This was a fairly restrained preparation of dandanmian that really highlighted the minced pork. 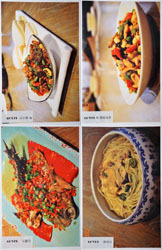 Nice textures on the noodles, too. 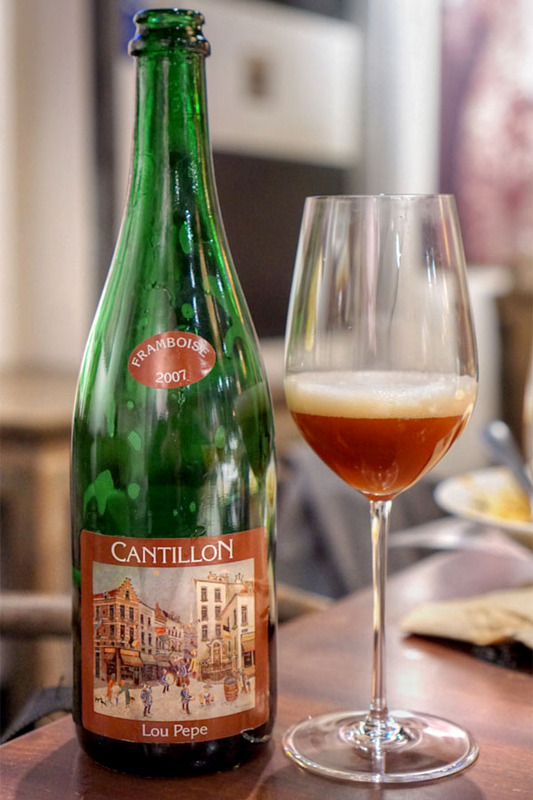 Next was the oldest beer in our line-up, the 2004 Cantillon Iris, a non-traditional lambic brewed solely with pale malt, hopped with an equal mix of both fresh and aged Hallertau, aged for two years in oak, then cold-hopped with Saaz before bottling. The nose on this one was simultaneously sharp yet soft, with a distinct yeastiness giving way to juicy peach. The taste was super tart, but also balanced by elements of yeast, wood, must, and fruit all in sync. The beer really has aged quite well, and was probably my third favorite of the bunch. 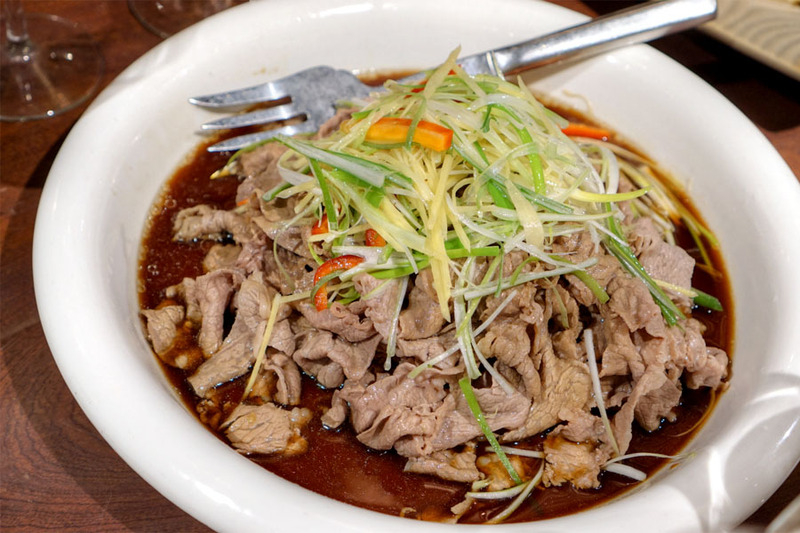 Thin-sliced beef came out super tender and tasty, with a superb complement in the form of that savory, spicy sauce. 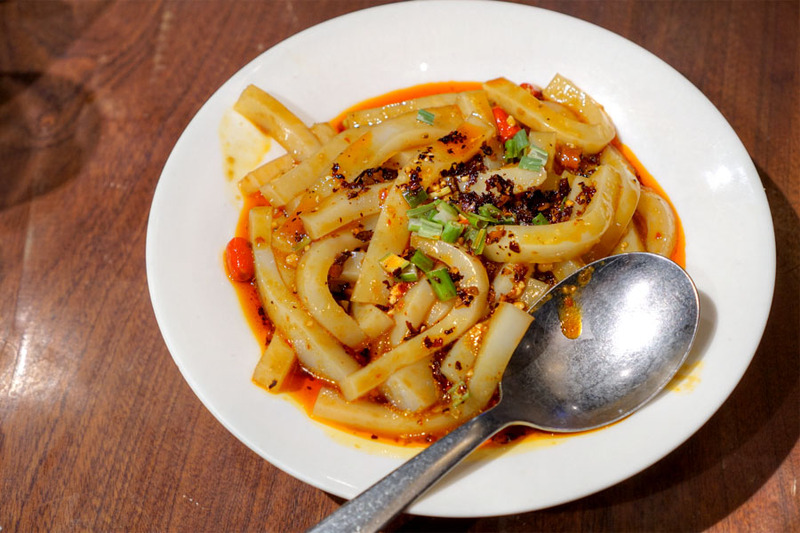 The onions were much appreciated as well, and overall this was just a joy to eat. At this point we took a break from the sours and enjoyed a short IPA interlude. 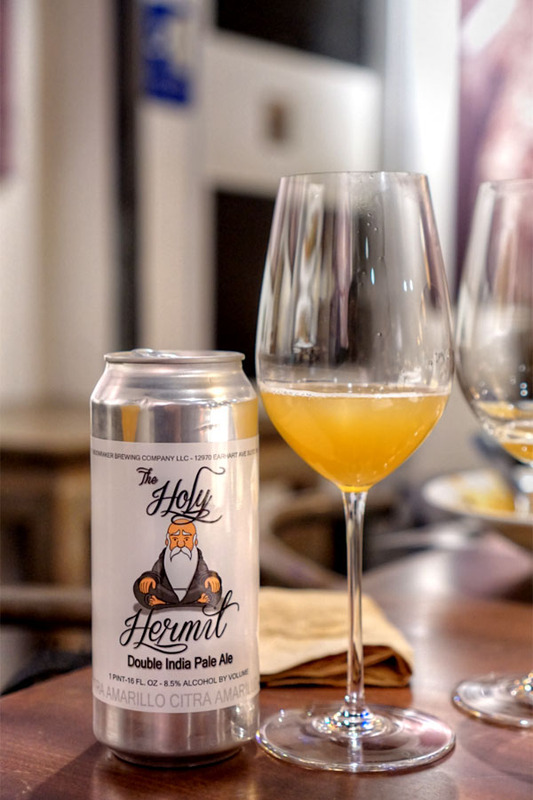 The 2017 Moonraker The Holy Hermit was a Northeast-style double IPA hopped with Citra and Amarillo. The beer smelled as you'd expect, with plenty of juiciness and a tempered bitterness from the hops. The palate here was decidedly thick, with a strong maltiness joined by tropical fruit, light hop bitterness, and an almost candied finish. Quite good. 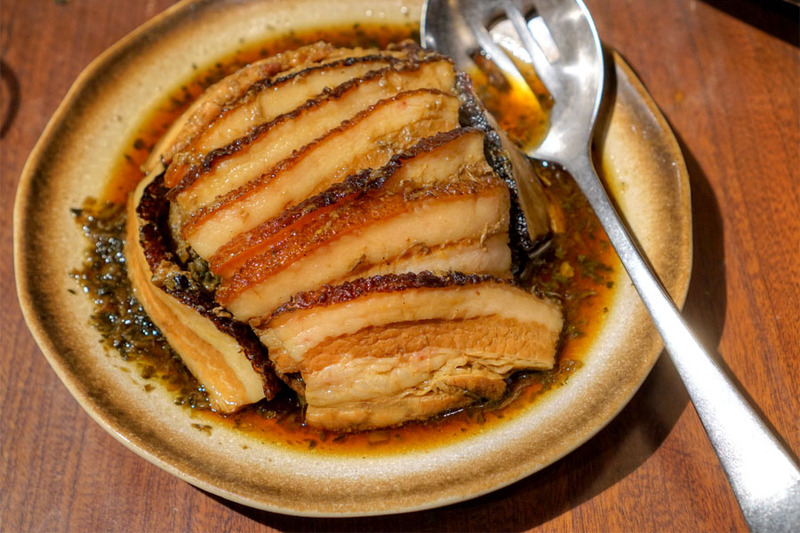 The pork belly came out fatty and flaky, its rich, unquestionably porky flavors evened out by the astringency of the paired greens. Our friend from Switzerland had apparently never had Hill Farmstead before, so we obliged and busted out a few from the brewery. 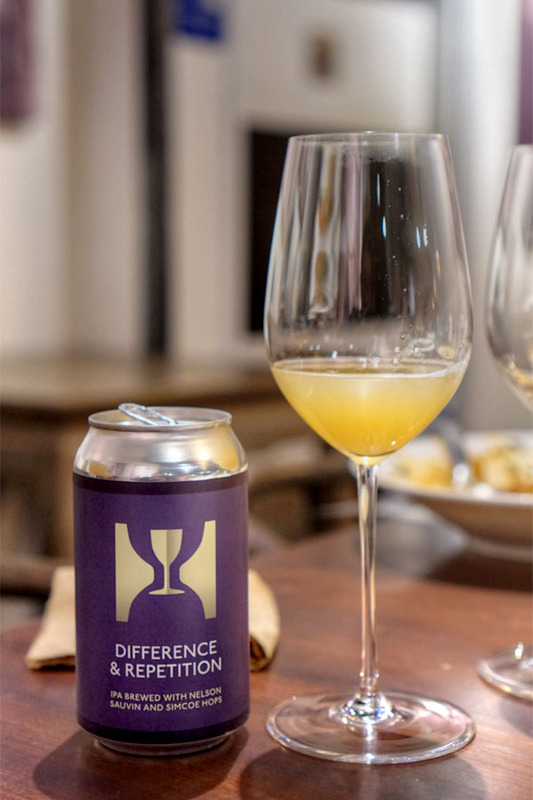 First was the 2017 Hill Farmstead Difference & Repetition #2, an IPA brewed with Nelson Sauvin and Simcoe hops. The nose on the beer was surprisingly weak for me, with just hints of herb and citrus. The taste was more assertive though, showcasing a forceful yet never domineering hop bitterness commingled with some grassiness and delectable notes of pineapple. 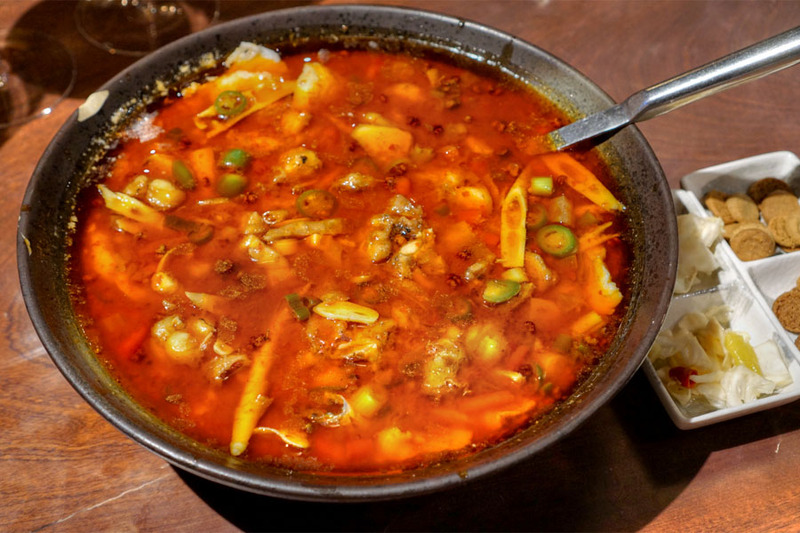 This impressive-looking stew was jam-packed with a mouthwateringly sour, numbing spice. 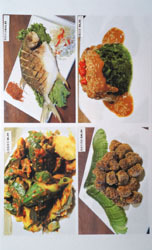 It never overwhelmed all the supple slices of fish in there though, and the super tender cuts of frog were even better. I got a nice disparity in texture from the bamboo, too. 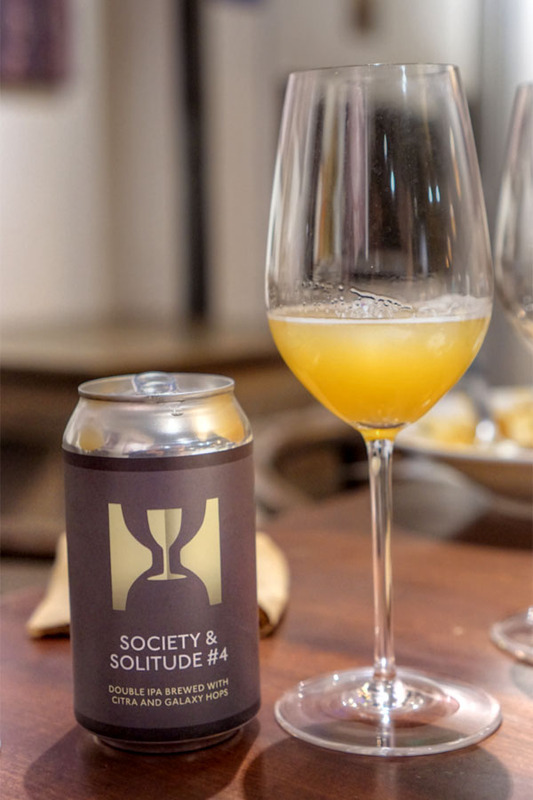 Our last (double) IPA was the 2017 Hill Farmstead Society & Solitude #4, brewed with Citra and Galaxy. Its nose was surprisingly subdued as well, with just traces of tropical fruit and grain. Meanwhile, the palate highlighted hop bitterness, but also a soft acidity and a light amount of grapefruit-like juiciness. 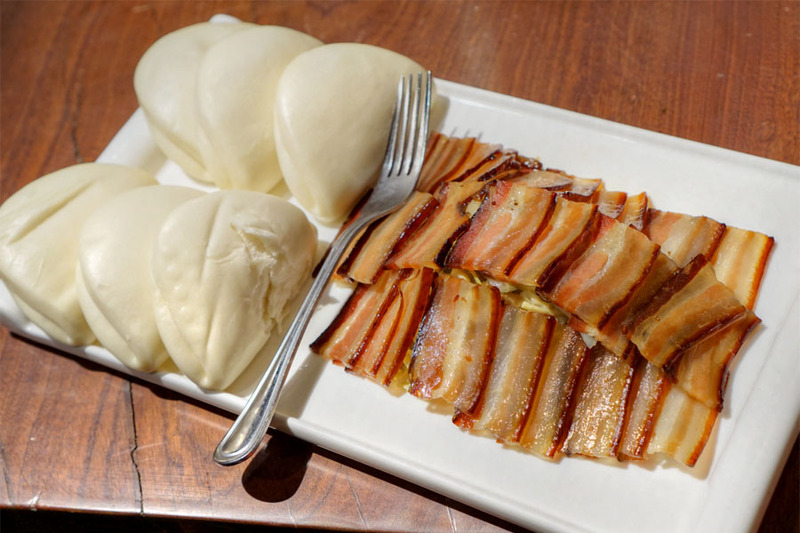 Thin, almost transparent slices of pork belly were on the tougher side texturally, but conveyed a lovely, sweet-savory, almost char siu-like flavor profile. 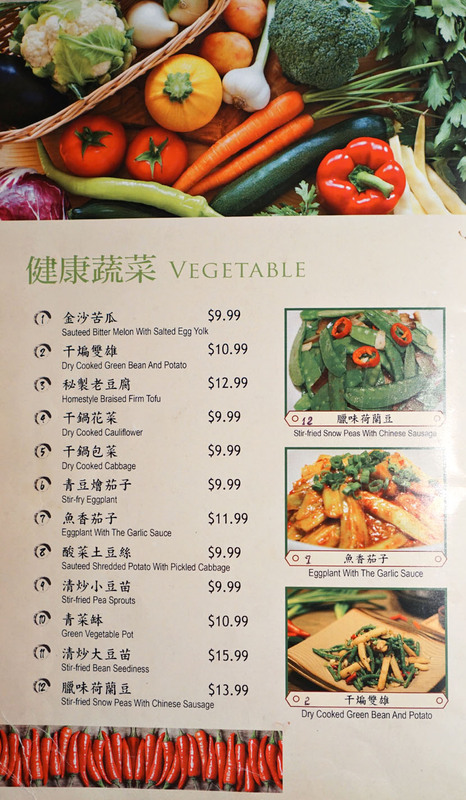 A fitting pairing with the fluffy buns, and make sure to get some veggies in there for contrast. 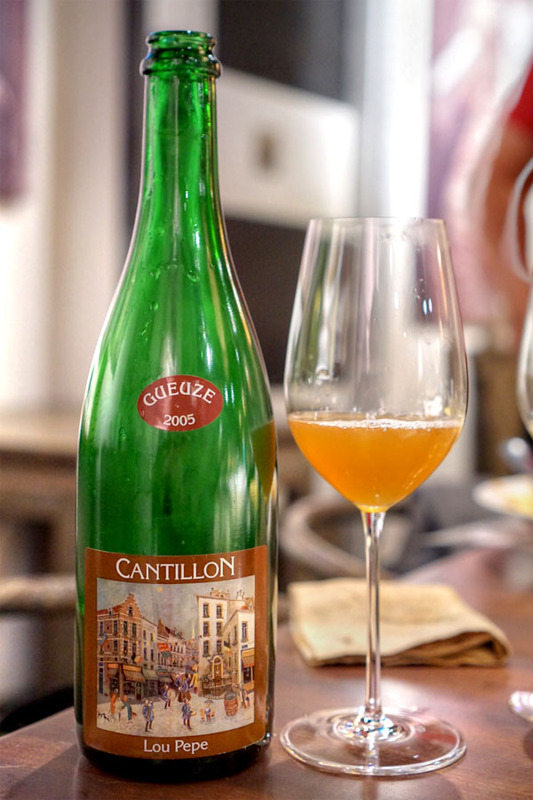 The 2005 Cantillon Lou Pepe Gueuze was a non-traditional gueuze made of two-year-old lambic aged in wine barrels, refermented to dryness with the addition of sugar. Mature, developed nose of stone fruit and mustiness. The palate, on the other hand, was bracingly tart and acidic at first, then transitioned to rounder flavors of yeast, oak, funk, and more fruit (with that fruit coming out even more as the beer warmed). 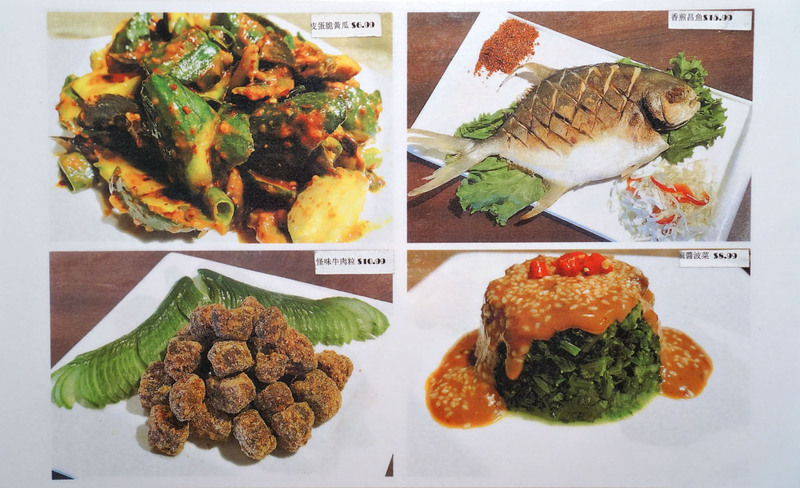 This was arguably the best preparation of intestine that I've had. 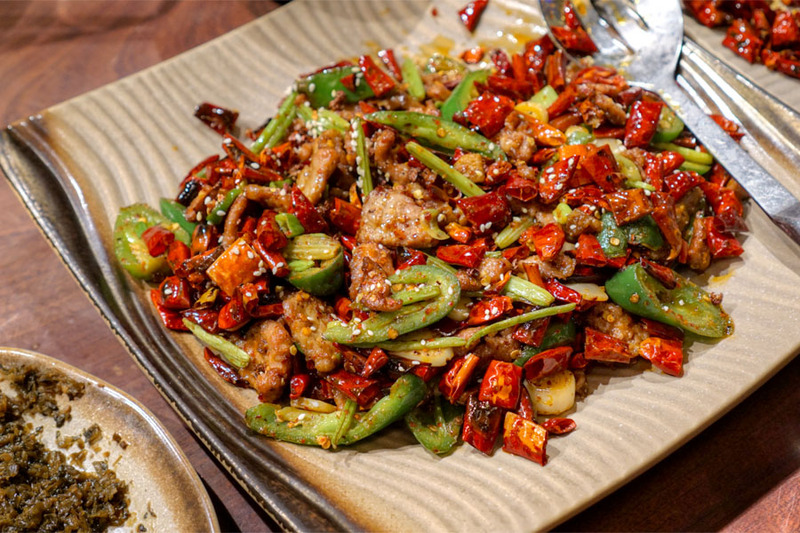 I loved its crispness, and how the numbing spice in the dish tempered the inherent funkiness of the offal. Also key were the crunchy bits here; I'm not sure what they were, but I'd liken their texture to that of undercooked potato. 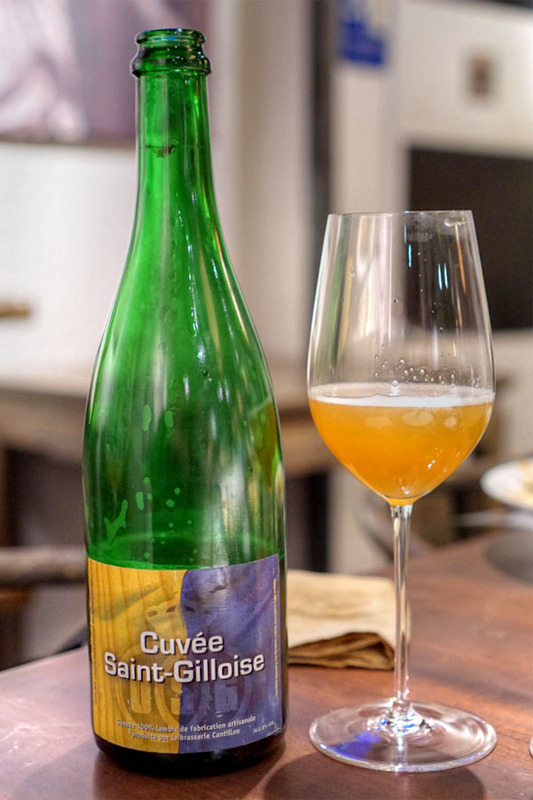 The 2015 Cantillon Cuvée Saint-Gilloise was lambic, aged two years in oak, dry-hopped in stainless, then refermented with sugar. I got some really bright aromas here, with lots of hoppy, herbal qualities and some fruit. The taste was definitely on the crisp 'n' refreshing side, with more of those hops, some yeast, and a noticeable juiciness. 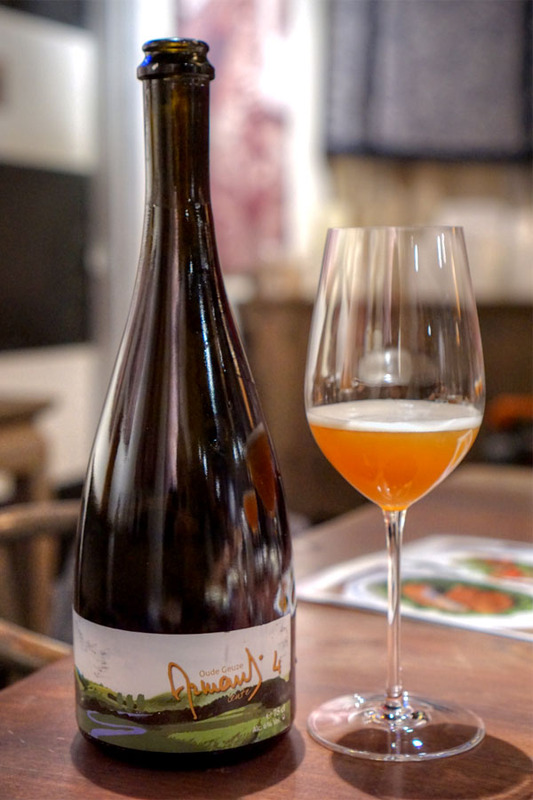 This was the youngest lambic we had, and surely tasted like it. 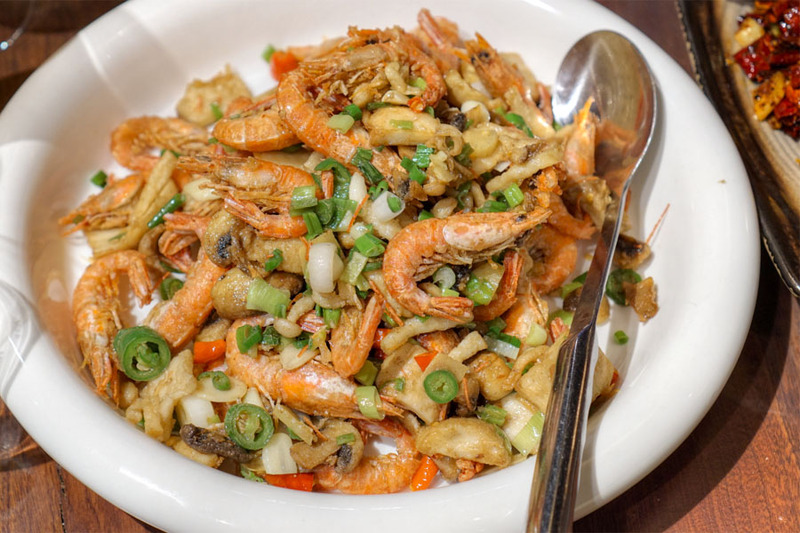 The shrimp managed to be another table favorite. They were cooked super crispy, so you could eat 'em shell and all, and had a nice brine and savoriness that matched up swimmingly with the onions and peppers. I was a big fan of the spongy 'shrooms, too. 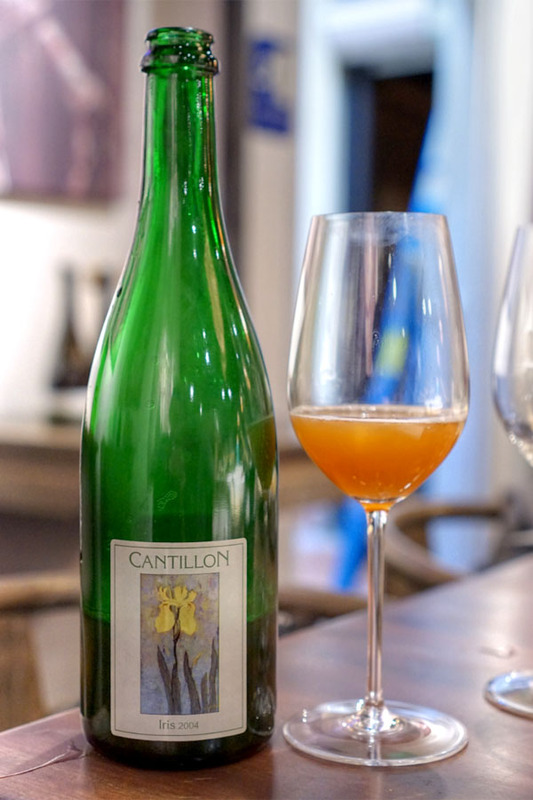 Here was the 2011 Cantillon Fou' Foune, a very well-regarded lambic brewed with organic Bergeron apricots. 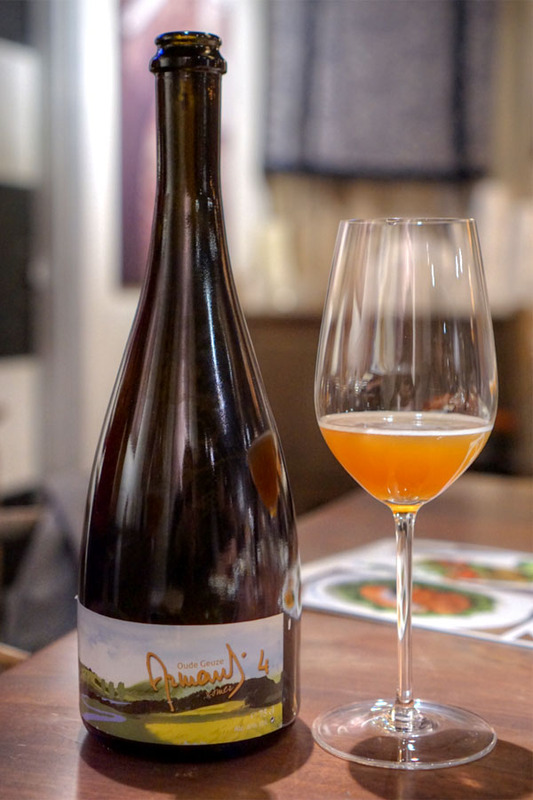 Fantastic nose filled with super intense, tart, true-to-life apricot. The taste followed, with again more of that tart, focused fruit along with a little woody funk. The beer is holding up wonderfully. The chicken was yet another winner, coming out properly tender and delivering bountiful amounts of savory spice and peppery heat. Yum. 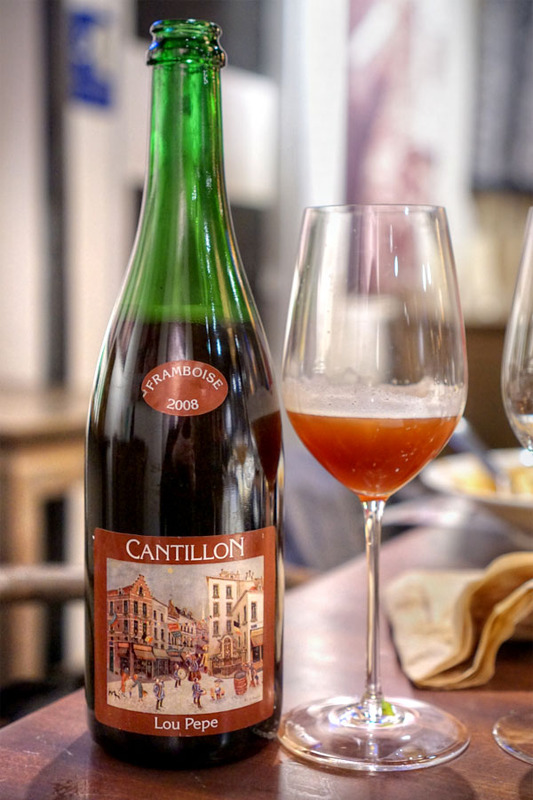 The 2008 Cantillon Lou Pepe Framboise was a two-year-old lambic aged in used Bordeaux barrels, with whole fresh raspberries added, then refermented with sugar. Nose on this one was a blend of acidity and jammy fruit, with oak and yeast mixed in. The taste was again quite sour, but still had a decent amount of raspberry left, along with your expected woody, barnyard-y character. 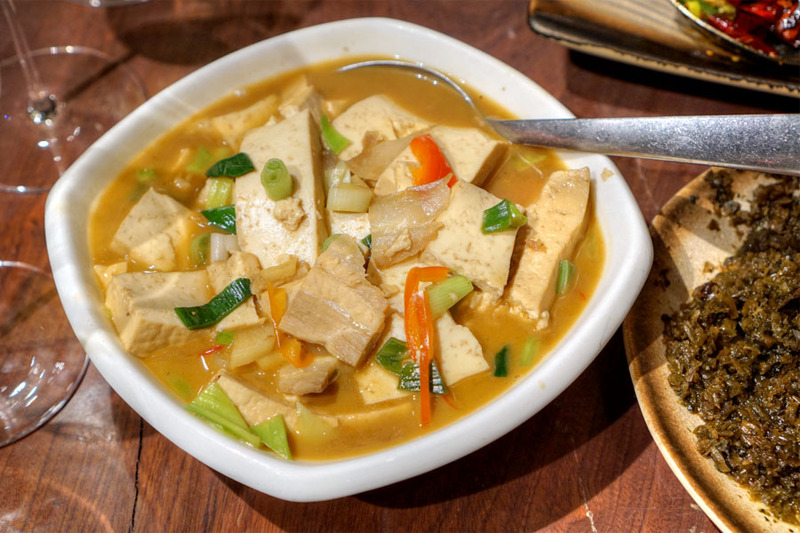 Some large cuts of tofu made for a welcomed change of pace from all the other strong flavors at play. Next came the year older 2007 Cantillon Lou Pepe Framboise. I found this one super lactic and acid-forward on the nose, with not nearly as much fruit. Taste-wise, things were bracingly acidic, with more of a Band-Aid and blue cheese quality and muted raspberry compared to the '08. Lamb and cumin is pretty much a match made in heaven, as the warming spice in the dish just worked perfectly against those tender shards of meat. 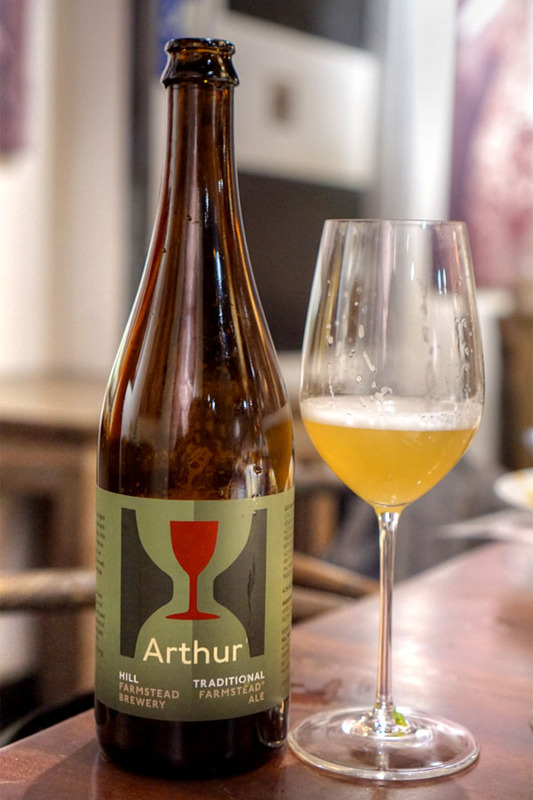 With the lambics all drunk up, we moved on to the 2017 Hill Farmstead Arthur, a traditional farmstead ale (a.k.a. saison). Bright aromas of lemon, grass, and urinal cake. The palate brought more tart citrus along with a yeasty astringency and some tasty grape-like flavors. 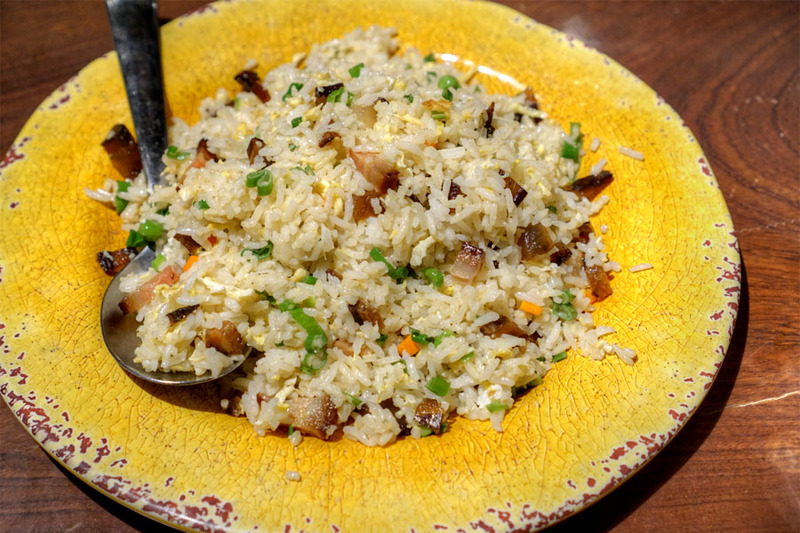 We ended with the traditional closer of fried rice, a classic preparation with additional heft courtesy of the spiced pork. 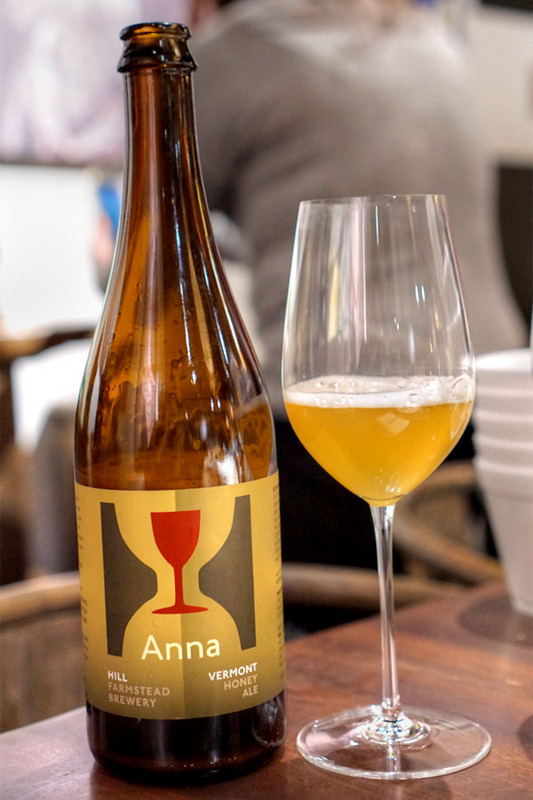 Closing out the evening was the 2016 Hill Farmstead Anna, a saison with Vermont wildflower honey. Grassy, herbaceous, grainy aromas here, layered with honey. In terms of taste, again, the sweetness of the honey was at the fore, moderated by malt, lemon, herb, and a pleasant bitterness. 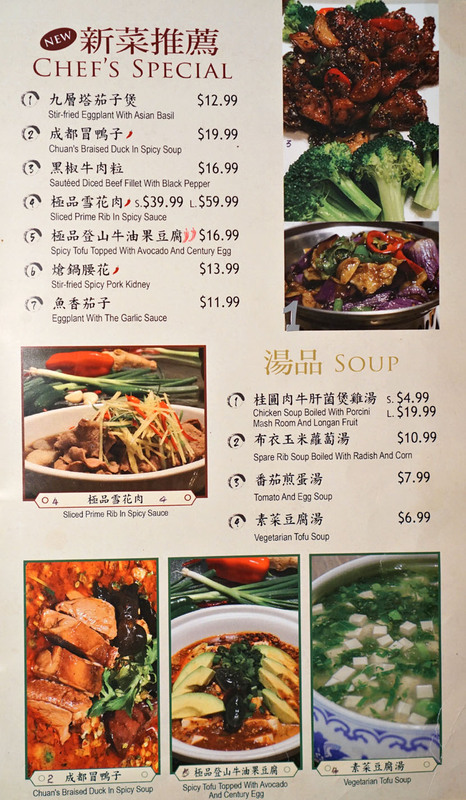 This was a pretty outstanding meal, and easily some of the strongest Sichuanese cooking I've had: think delicious, well-executed, and not overwhelmingly spicy. Flavors were certainly robust, but always for a good reason--there was finesse along with power. 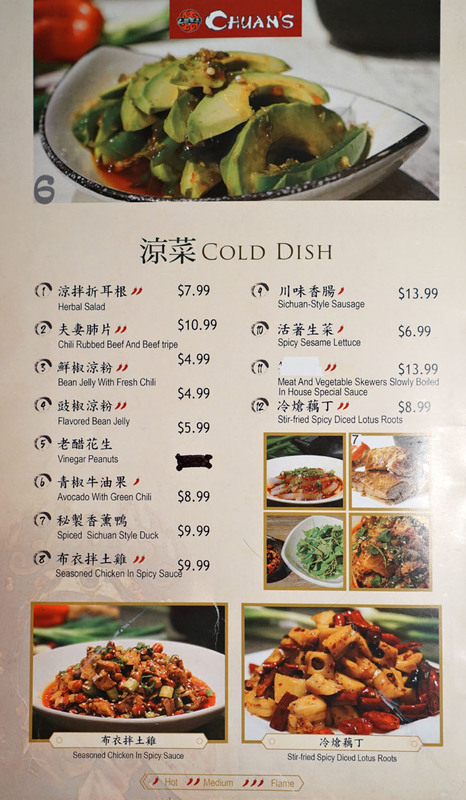 Service, also, was quite commendable, and I can't fault the ambiance either, so an impressive experience overall. 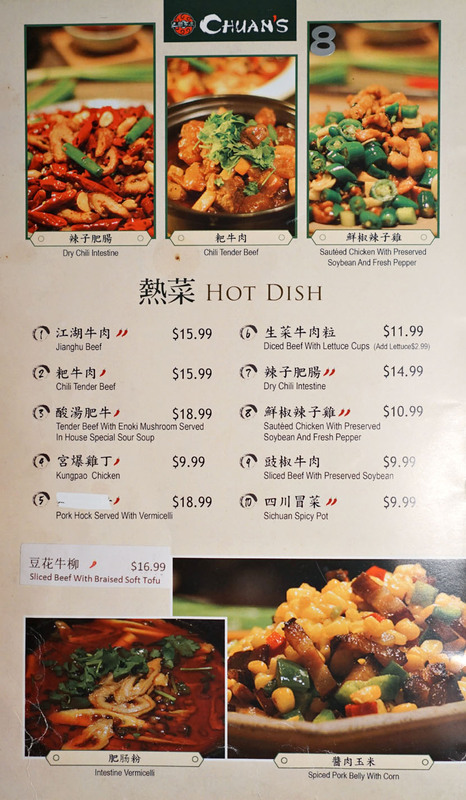 I like Chuan's a lot, having been 4-5 times and sampled a good chunk of the menu., Not only is the kitchen pretty tight, if not as "bright" as Szechuan Impression or as OG as some other places, but they are the only Szechuan place I can think of that actually has a liquor liscense. A couple of others will let you bring under the radar, but I don't think they are licensed. 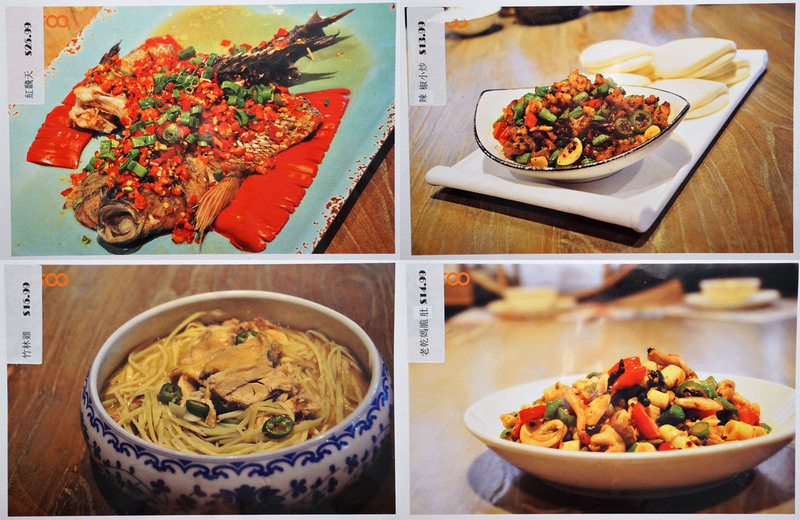 Bistro Na's is pretty good too, but more a modern Shanghai/Beijing hybrid. Next time inflate your party size by 25% as they have private rooms and large tables too -- haha. Oh yeah for Bistro Na's I imagine we'll try to go for a private room when the time comes. So which other places will let you bring under the radar? That knowledge might be useful in the future! 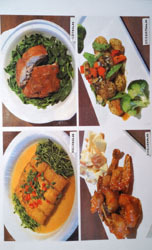 I got my Bistro Na review posted -- we actually had a res for 8 too but only 6 showed, which did fill the table -- maybe they calibrate for very small Chinese grandmothers! Anon: Please take a look at the first paragraph. Mike: Funny you mention that, as we actually did have a sideboard at Chuan's to hold all the empty bottles. Andy: Yeah it was especially an issue given all the glassware we brought. I think a private room is definitely called for when we return. A couple of others will let you bring under the radar, but I don't think they are licensed.